Create new worlds, strategize, and learn to build like a pro as you unlock the mysteries of Minecraft building, adventure and survival. Registration is required. 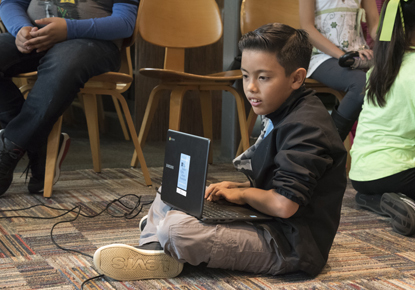 During this 10 week program, you will learn how to create games and worlds using your Minecraft skills. Come and work together to design new experiences, test your creations, and bring you Minecraft skills to a new level. For students grades 5-8. Library events and programs are free and everyone is welcome. Registration is required. Please register in person at the High Point Branch or call 206-684-7454.